Juniors event to be held March 3 at O.C. Sailing Center. DANA POINT — A sailing event dedicated to the life of a junior sailor returns to Dana Point Harbor, March 3, as a local youth foundation hosts the 7th annual Jeffrey Adam Memorial Regatta. 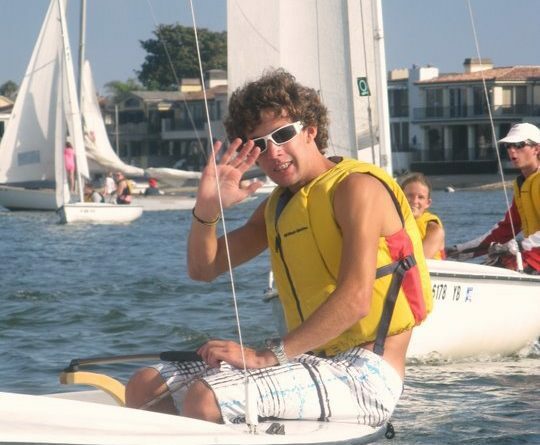 Dana Point Harbor Youth Foundation hosts this regatta in the memory of Jeffrey Adam, who, at the age of 22, lost a battle with a rare but virulent strain of bacterial meningitis. The regatta was named after Adam when a friend and Sea Scout campaigned to have a sailing event held in his memory. Dana Point Yacht Club, which hosted the Festival of Whales Regatta, agreed to rename the sailing event in Adam’s honor; Adam won the regatta on several occasions. Proceeds from the regatta have helped the Dana Point Harbor Youth Foundation award scholarships and purchase boats and sails. The regatta is open to skippers and crew of C420s, Capri 14s, CFJs, Lasers, Optis and RS Teras. All Senior Division entries will sail under the RS Tera class. Five races are scheduled during the regatta. First place skippers and crew in each class will earn trophies; second place trophies will be awarded for classes of six or more boats. Organizers will also issue an award for the most Corinthian competitor. Registration, rigging and launching begins at 8 a.m. on March 3; a skipper’s meeting follows at 10 a.m. First race begins at 11:30 a.m., with de-rigging set for 4 p.m.
Root beer floats will be served after the race, followed by a trophy presentation at 5 p.m. The regatta’s dinner will be held March 4; contact Donna Carter of Jeffrey Adam Memorial Regatta at jamr@dphyf.org for more information about the dinner. A limited supply of loaner boats will be available. O.C. Sailing and Events Center is located at 34451 Ensenada Place in Dana Point. Trailers can be stored at the Dana Point YC parking lot, which is located at 24399 Dana Drive; water shuttles will be available between the yacht club and sailing center. Questions about the regatta can be directed to Carter (jamr@dphyf.org) or Jeremy Quinton (jeremyquinton@hotmail.com).